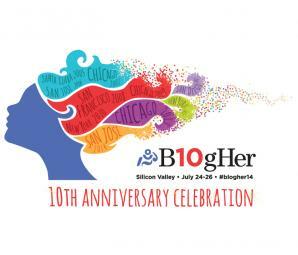 Take YOUR Personal Style to BlogHer ’14! I am about to leave for a 3 day blogging conference in San Jose, CA. I am going with my friend and Midlife Mixtape author Nancy Kho and friend and colleague Amy Roseveare, author of Jewelry Fashion Tips. Stop by their blogs and give them some BlogHer love. Nancy is a seasoned veteran of BlogHer and has been my go to person for questions, concerns and advice for newbies like me. It was at her urging, that I decided to weigh in on dressing for BlogHer. BlogHer 14 has a Facebook page that many of us have joined and the MOST asked question by far is “what do I wear??? Normally, I would jump all over this question! I am a Personal Shopper and get paid for helping people with their wardrobes. After reading tons of entries over the last few weeks, I came up with advice and guidance to answer that ‘what to wear’ question. I’m not going to offer packing tips, Pinterest boards, Polyvore sets or trend advice, but some thoughtful guidelines on how to dress for BlogHer or any other intimidating and new situation. “Always be a first rate version of yourself, instead of a second rate version of someone else”. 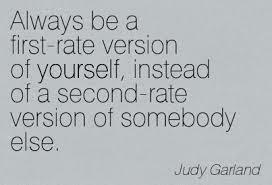 I love this quote by Judy Garland and have repeated it many times. Dress like and for yourself, not for someone else. I have read countless posts about feeling scared, unsure and downright out of place, coming to BlogHer for the first time. I am inspired by how many people have said to dress comfortably and in what you feel most powerful and confident in. This is the very same advice I give to my clients. If I am not taking their personality, lifestyle and spirit into consideration when choosing items, then the clothes we buy together will go to waste. Buying clothes that aren’t ‘you’ is the equivalent of buying a new couch and leaving it in the attic; neither will ever see the light of day. Are you artistic, flamboyant and outgoing? Wear color! Are you a bit shy and reserved, not wanting to stand out in the crowd? That’s OK, wear more subtle understated colors and clothing! Don’t like the way jeans fit your frame? Wear A line skirts and dresses! There is a solution for everyone. Remember, personal style is not static. Are you the same writer you were 5, 10, 15 years ago? Probably not. In that same way, our own personal style changes, grows and morphs as we make our way in the world. No need to go all out dressing up if you spend most of your working hours in the comfort of a home office. It’s not necessary to buy lovely dry clean only separates with babies or toddlers around. Dress for your life today, don’t worry about where it will be next month, year or decade. Celebrate where you are now. My BFF has a picture of me circa 1999 in a pair of pale blue linen overalls! She uses it in loving way to remind me of where I came from. At that time I was a new mother to boy/ girl twins. You could say I was overwhelmed and sleep deprived and that would be the understatement of the year! 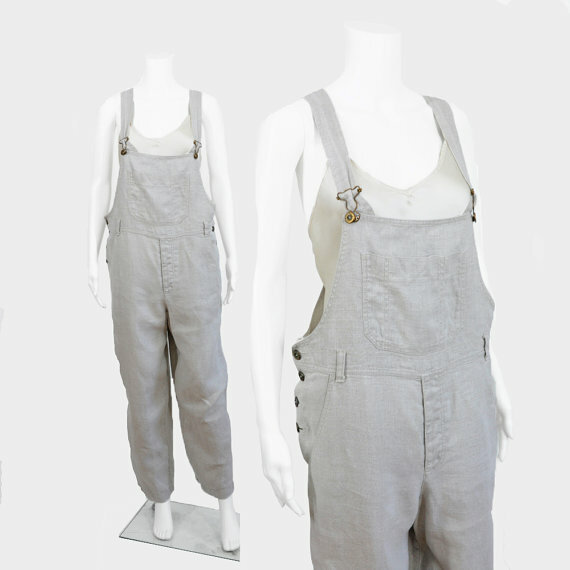 The fact that the overalls were easy to clean, supposed to be wrinkled (they were linen after all) and could be easily undone for nursing, made them a slam dunk in my wardrobe. Would I wear them now? Most likely not, but my life has changed a lot since then. My kids are going to be high school juniors this fall, so parks, playgrounds, dirty diapers and sippy cups are a distant memory. My linen overalls. I hated to get rid of them. Having spent the whole of my career in the fashion/ retail industry, my style has grown and changed accordingly. Spending time in NY covering Fashion Week (talk about stressful packing), requires a very different mindset and wardrobe than driving a carload of teens to the movies. No matter what I wear with my teens, I will never look cool enough, young enough or hip enough. Here’s the rub, I don’t want to! I dress for my age, figure, budget, husband, girlfriends, but most of all, I DRESS FOR MYSELF! So as you fellow BlogHer 14 attendees are scrambling to pack, do last minute errands, get manis and pedis, remember, whatever you have on will be the perfect outfit for YOU! And if happen to notice you in overalls (BTW, they are very on trend right now ), you will get an understanding, accepting and admiring nod from moi! This entry was posted on Tuesday, July 22nd, 2014 at 4:10 pm	and is filed under Events & Happenings, New York Fashion Week, Packing, Travel, Uncategorized, Womens dressing. You can follow any responses to this entry through the RSS 2.0 feed. You can leave a response, or trackback from your own site. Great advice, Maureen!! I’m really looking forward to the conference…and I will be packing the morning of, bringing my favorite, most comfortable outfits. You always look great Amy, and just like your true self! Great advice. Thanks. Going to go comfortable (and at least washed lol).